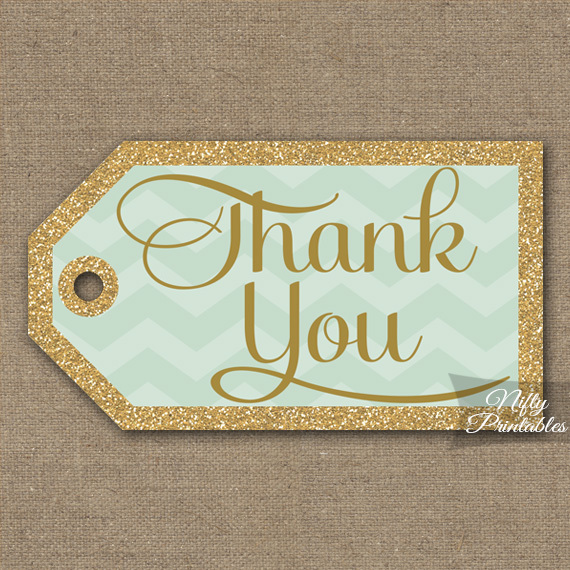 Mint green chevron & gold glitter rectangular Thank You favor tags or gift tags to print yourself! You Get: 1PDF file with 6 tags on the page, each 4" x 2.25". Just print, trim and punch a hole at the top to attach with ribbon.